ARCHIVES 5/14 Inventory available online -- See links in "Arrangement"
Philip W. Conn served as the seventh Chancellor of the University of Tennessee at Martin for the three years between 1998 and 2000. Phil Conn was born in Decatur, Alabama on January 4, 1942 to Charles William and Edna Louis Conn (née Minor). His parents relocated to Cleveland, Tennessee where he attended and graduated from Bradley Central High School in 1960. Dr. Conn attended Kentucky's Berea College, where he received a Bachelor of Arts degree in biology in 1963. In 1964, he was named Associate Director of Appalachian Volunteers by the Council of Southern Mountains in Berea, Kentucky. The following year he served as a Field Representative for the Volunteers In Service To America (VISTA) in Washington, D.C. and was part of the initial staff of the "domestic Peace Corps". In 1966, he traveled to the Netherlands and attended the Institute of Social Studies in The Hague where he received a diploma in social policy. Dr. Conn returned home in 1967 where he was employed by the Bradley/Cleveland Community Action Corporation as Assistant Executive Director and Project Coordinator. The next year he was again at Berea College this time acting as Director of Alumni Affairs, editor of The Berea Alumnus and the Placement Director. In 1971, he worked on the gubernatorial campaign of Bert Combs and Julian Carroll as Public Relations Advance Director in Louisville, Kentucky. Later in the same year, he enrolled at the University of Tennessee in Knoxville and acquired a Master of Arts degree in Sociology in 1972. After completing graduate work at the University of Tennessee he served as Research Specialist and then as Executive Director of the Kentucky Legislative Research Commission in Frankfort. By 1977, Dr. Conn was the Vice President of Research and Development and later the Vice President for University and Regional Services for Morehead State University in Kentucky. While serving as Vice President he attended the University of Southern California and in 1982 received a Master's degree in Public Administration. Three years later, in 1985, he was hired as the Vice President for University Advancement at Central Missouri State University at Warrensburg, Missouri. During his Vice Presidency he continued graduate work at University of Southern California from which he earned a Doctorate in Public Administration in 1991. 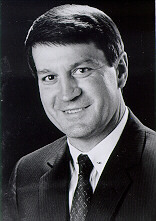 In 1994, he became President of Dickinson State University in Dickinson, North Dakota where he served four years as the college's executive officer. Dr. Conn accepted the Chancellorship at the University of Tennessee at Martin in the Summer of 1998. Dr. Conn saw the college through several years of major changes, including the reorganization of the University system around core research institutions. He accepted a brief reassignment as Vice-President for Special Projects under then-UT President Wade Gilley before departing the UT system to accept the presidency of Western Oregon University. University of Tennessee at Martin -- History -- 1998-2000.